HomeBlogTechnologySmartflower POP All-In-One Solar System. 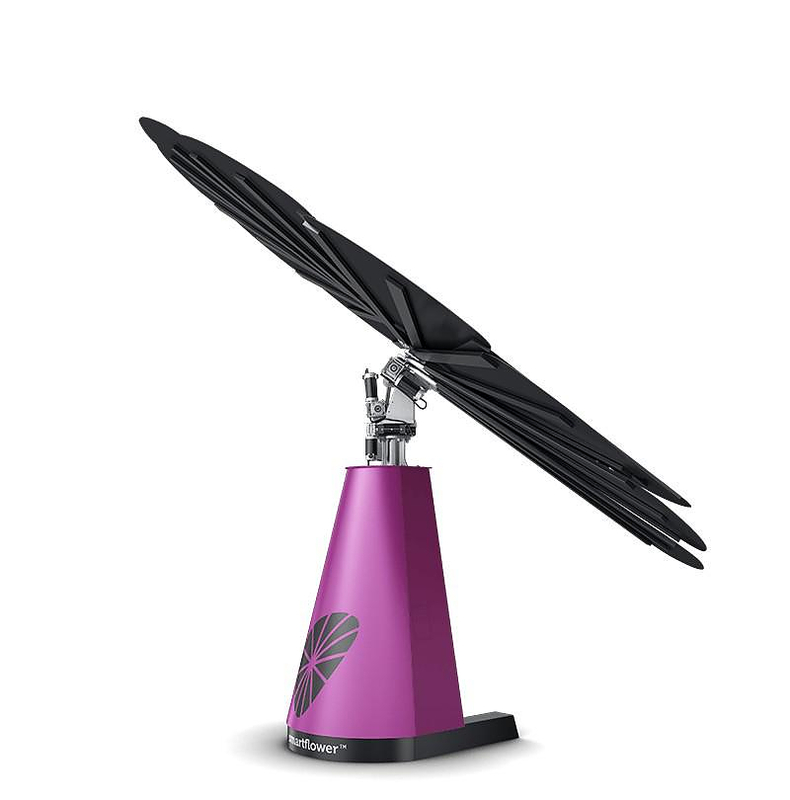 Billed as the world’s first all-in-one solar system the Smartflower POP Photovoltaic System will power up your home using the energy of the sun in flawless style. Sustainable ways of thinking and being proactive are a main concern for the educated modern man. Who wouldn’t love to be self-sufficient, ecologically correct, and sustainable, particularly when it comes to our energy consumption. Renewable energy is the future, and everyone must have realized that by now. 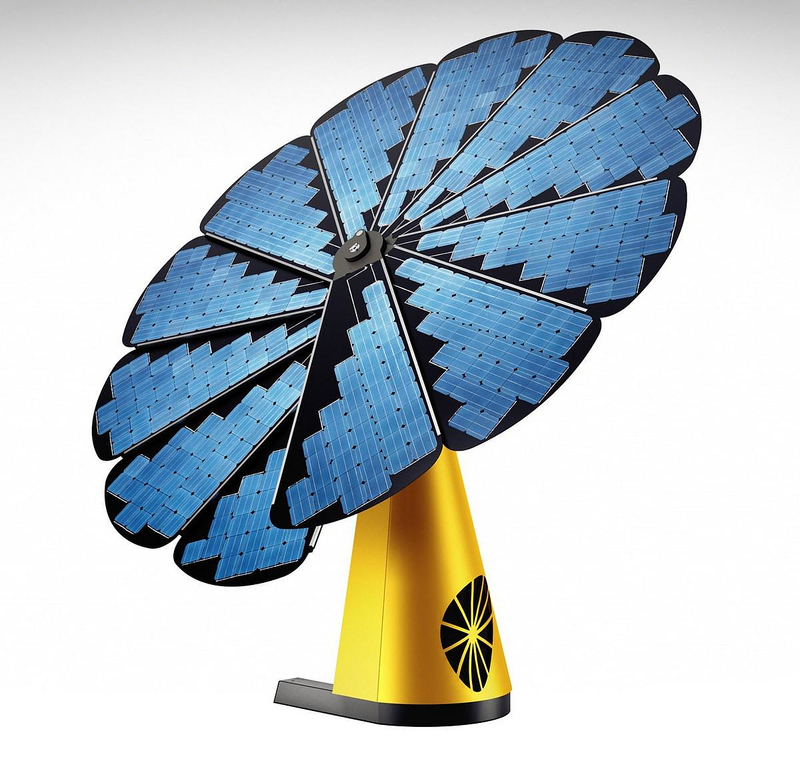 A smart idea towards this direction is to harness the power of the sun for electricity. 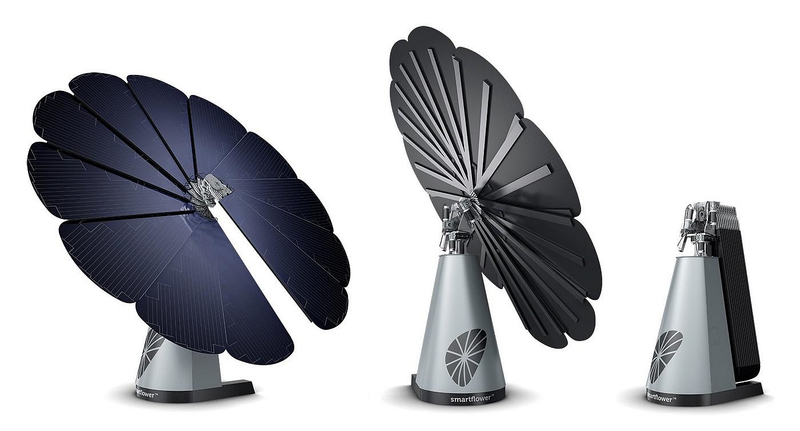 However as attractive as it sounds, it is not always easy to implement a solar system and enjoy unlimited clean energy. Traditional solar systems require cumbersome custom rooftop installations, complex wiring, and other specialty equipment such as converters and voltage stabilizers. 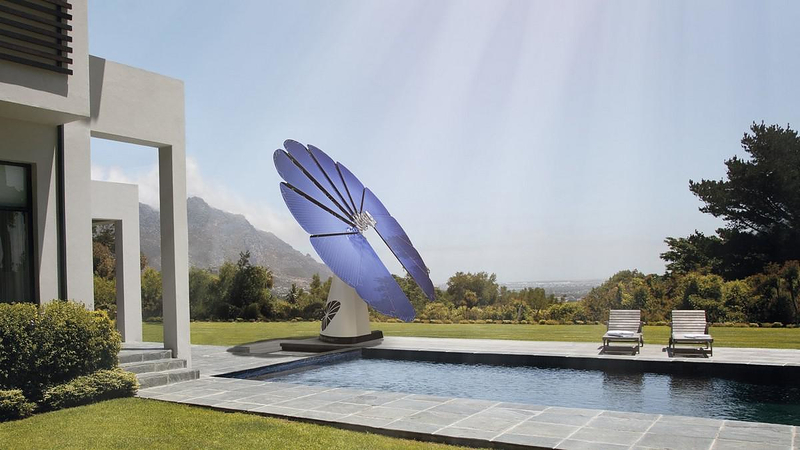 On the other hand, Solar Trackers (the devices that orient toward the sun) tend to be huge, they require a lot of space to be installed, a lot of maintenance and lets admit it, they just look ugly and will destroy the nice scenic view of your house. 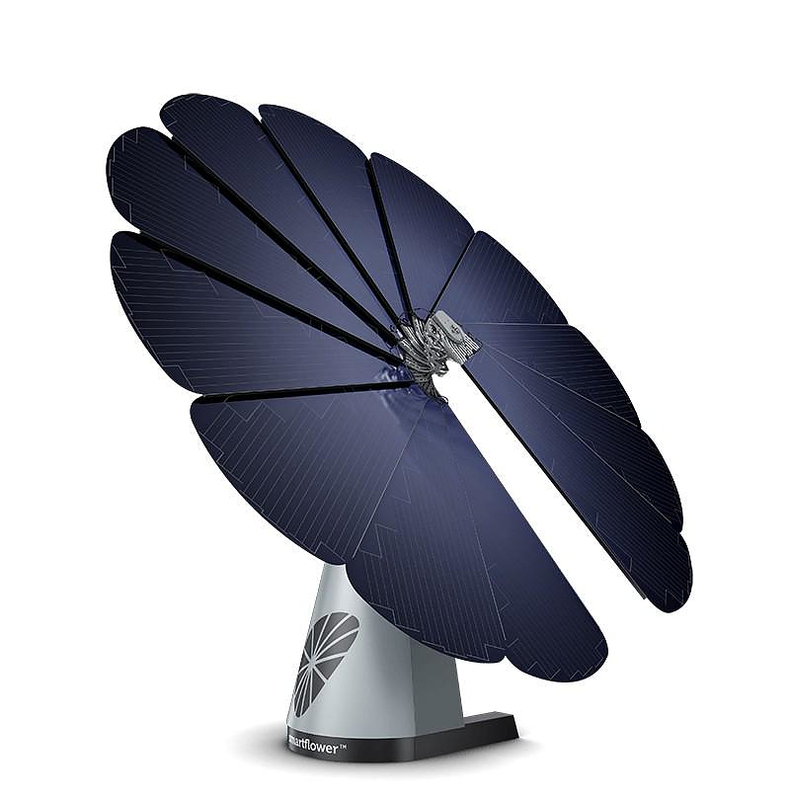 The Smartflower POP All-In-One Solar System is manufactured in Austria and is essentially a Solar Tracker, yet it has a number of core differences with traditional solar trackers. 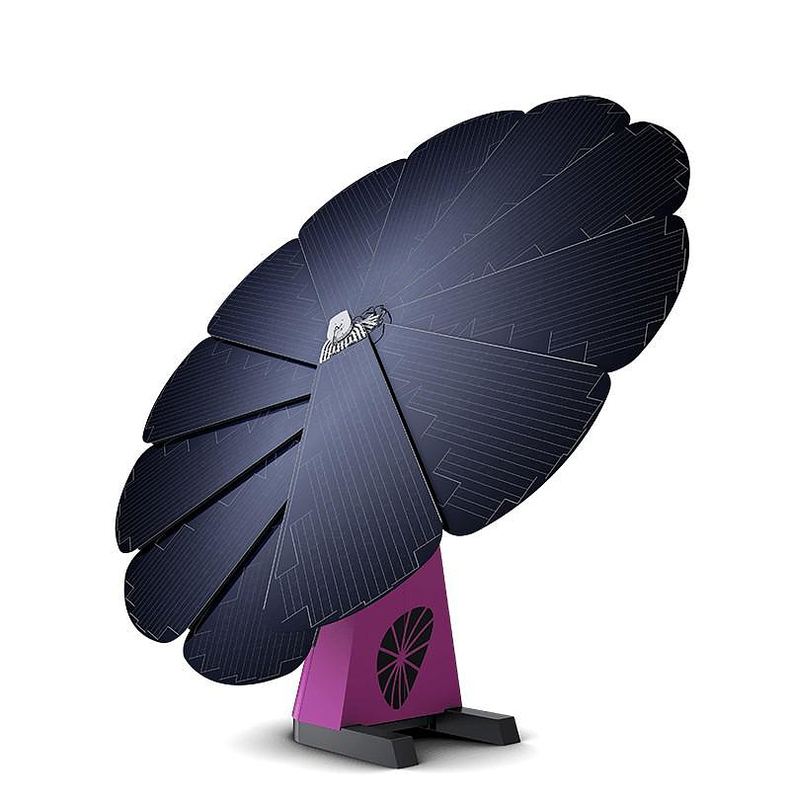 ALL IN ONE – For a starter it is an All-In-One solar solution without extensive installation. The system is “Plug & Play” it is delivered as a complete system and is operational within an hour. No complex assembly is required. The system is firmly bolted to the ground (or concrete foundation) at the location of your choice, you plug it in and presto! you got clean energy. 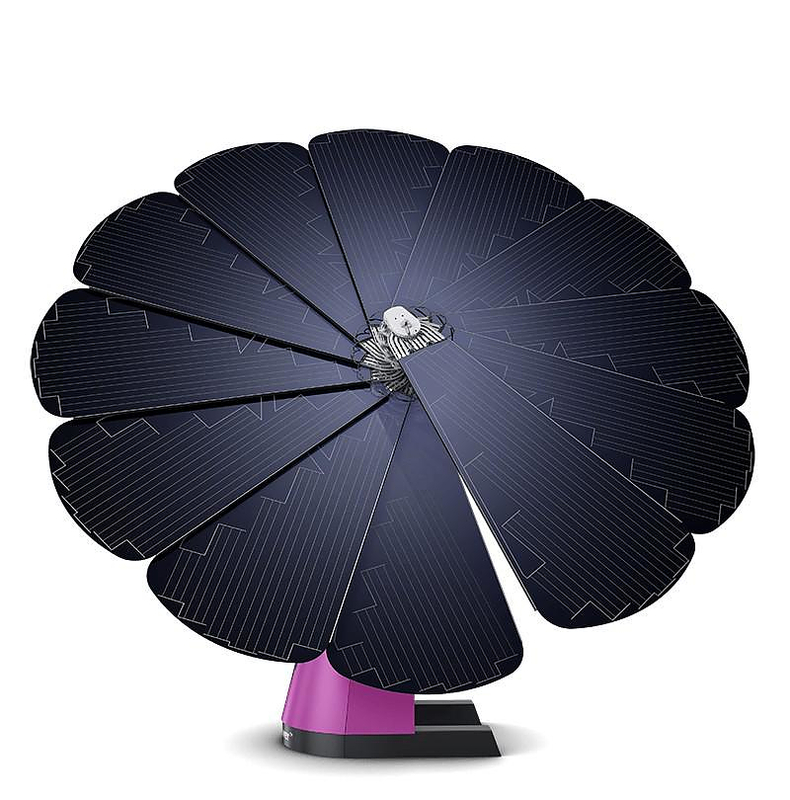 The Smartflower POP achieves a degree of self-utilization of around 60% a significant improvement over a comparable rooftop unit, which averages just around 30%. 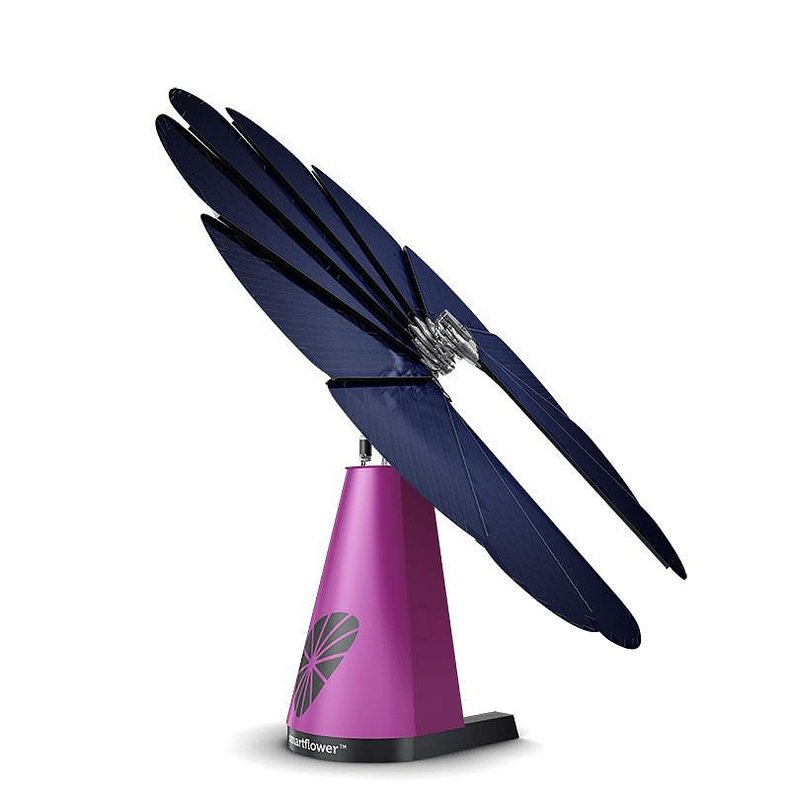 Moreover, it offers extremely efficient energy production on demand due to innovative smart tracking, exactly when you need it. 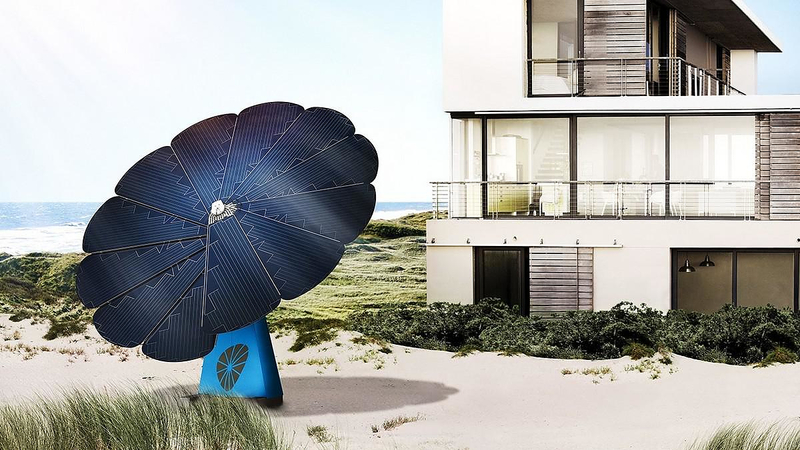 While its photovoltaic surface area is relatively small (that is a good thing, it stays unobtrusive), the Smartflower POP continuously faces the sun throughout the day under the best angle. 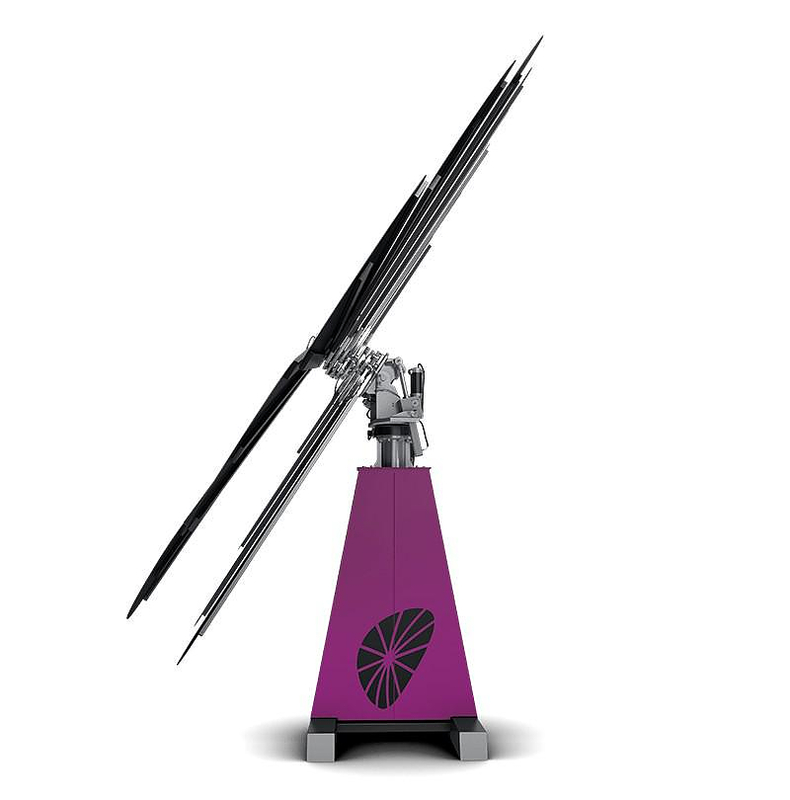 To achieve that the this thing features a two-axis tracking system, achieving an optimum alignment with the sun rays at an exact 90° angle during the entire course of the day, even when the sun is low on horizon in the winter. The result is 40% more output than traditional photovoltaic panel roof installations. SMART – Thanks to smart cooling and smart cleaning, common losses in output due to heat and contamination are prevented by up to 15%. 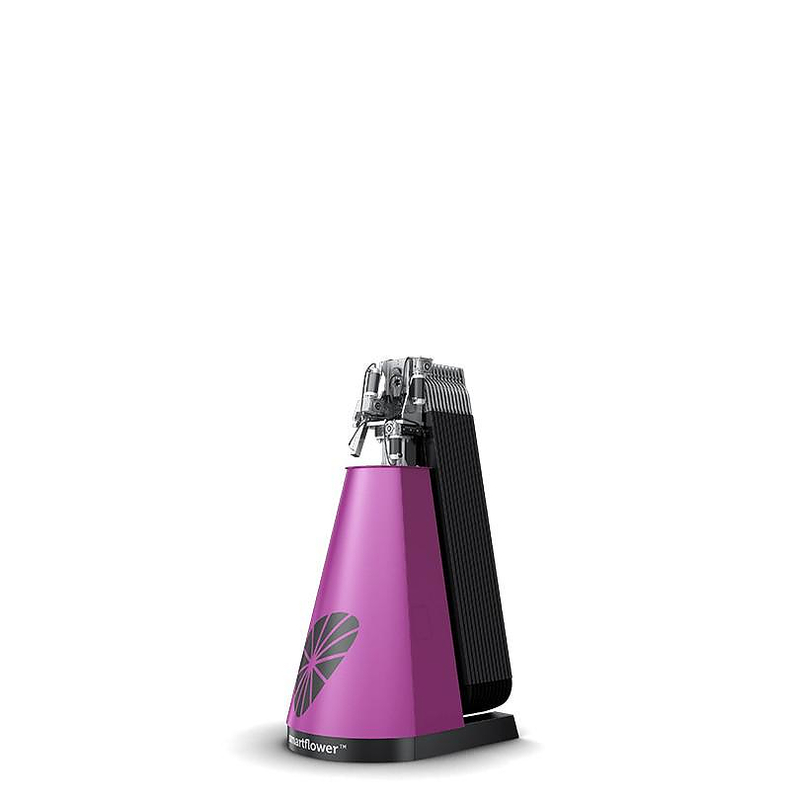 The Smartflower POP actually cleans itself! 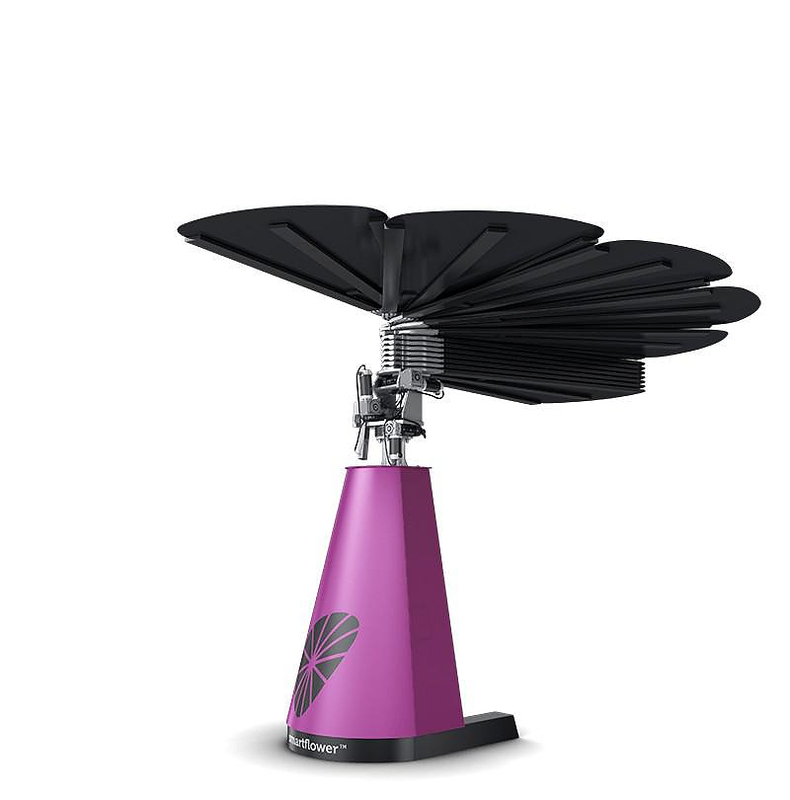 It easily rids itself of dust deposits or snow by folding and unfolding itself. Thus, common losses in energy production (up to 5%) are minimized. It also cools itself! Hot modules deliver less electricity than cool modules. 10°C more means 5% less output. 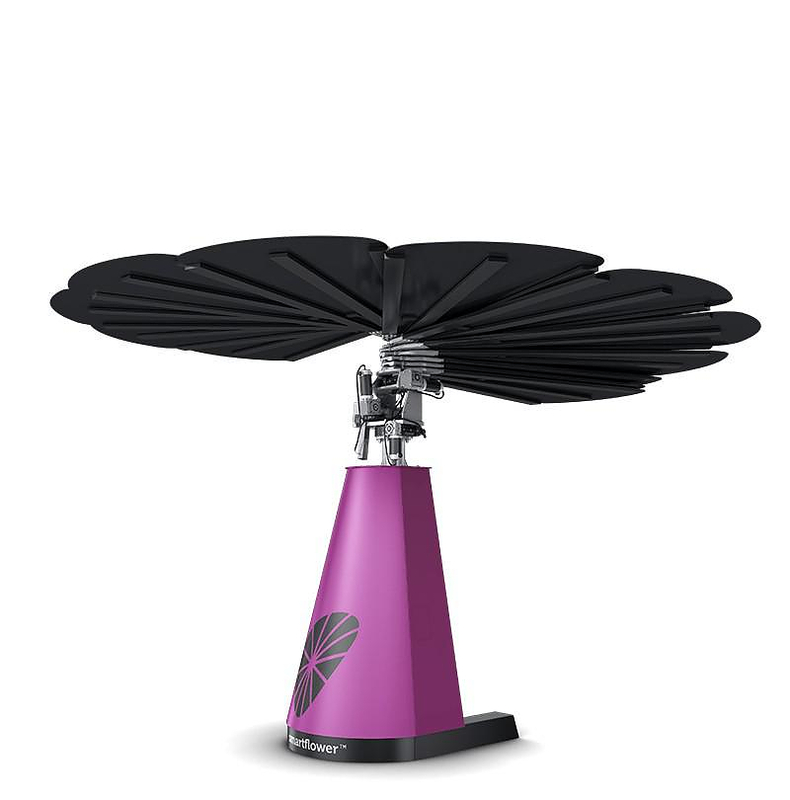 The modules of Smartflower POP are always rear-ventilated, hot air cannot accumulate due to their construction. This means they are 10–20°C cooler and deliver 5–10% more output as compared to rooftop systems. 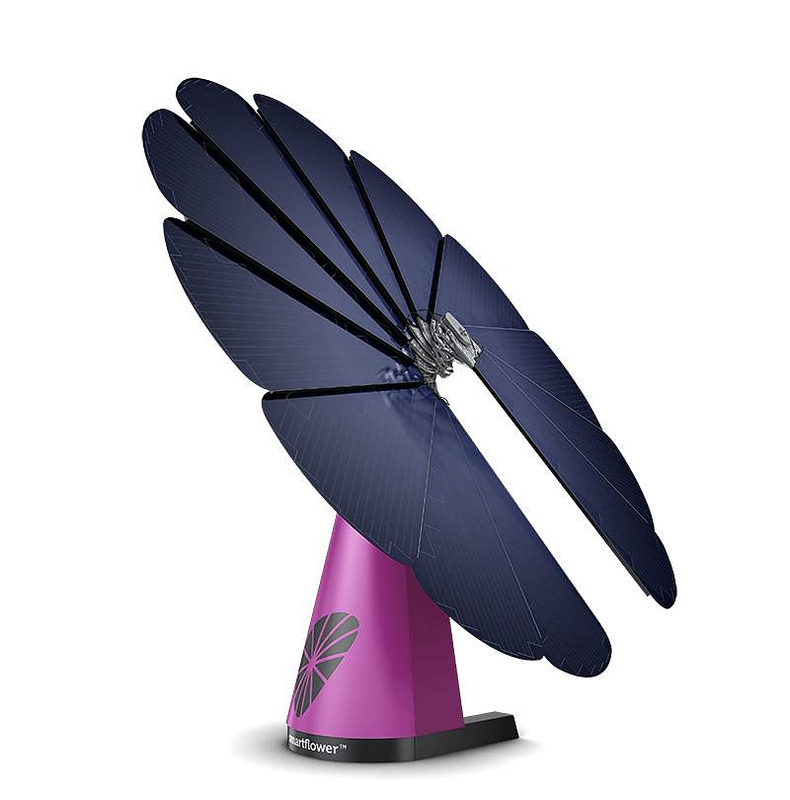 MOBILITY – Another significant advantage over other solar systems is that the Smartflower POP is mobile! In case you move out, no need to leave behind your eco-friendly (and probably quite expensive) photovoltaic installation. You simply take your private solar plant with you. 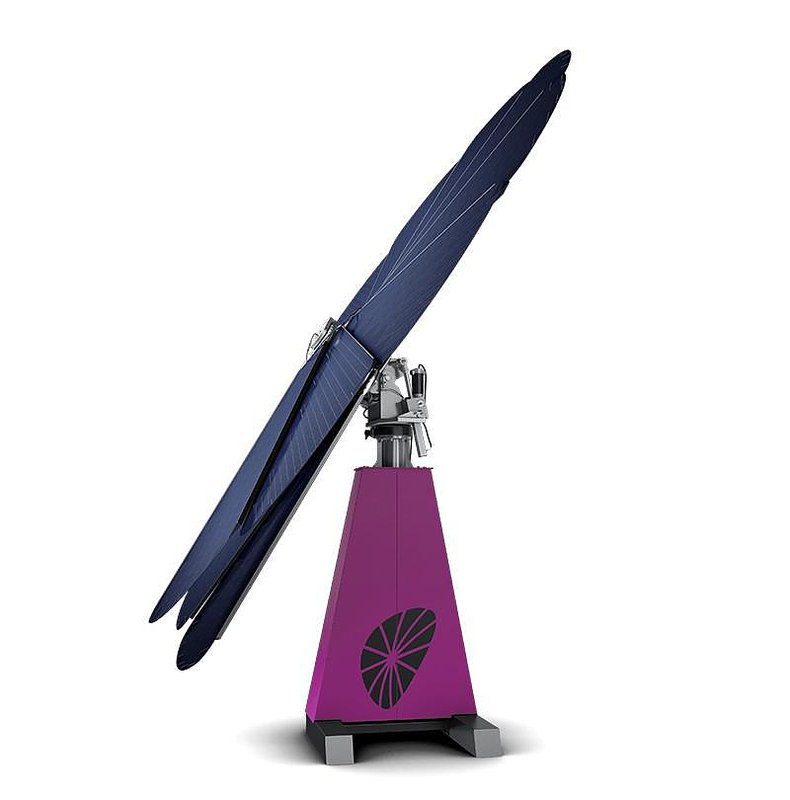 Disassembling Smartflower POP is just as simple as assembling it: just unscrew the four anchoring bolts and cart it away. You can even install it in a rental property. AESTHETICS – Yes indeed aesthetics! 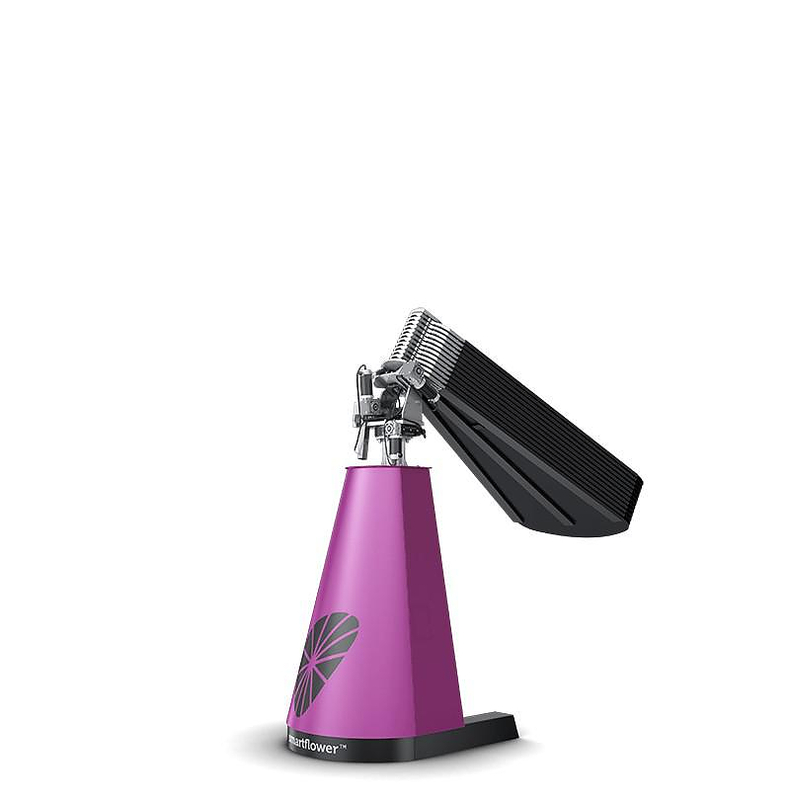 The Smartflower POP has an appealing modern design and it even comes in eight colors, from the trendy Berry to the classic Pearl. 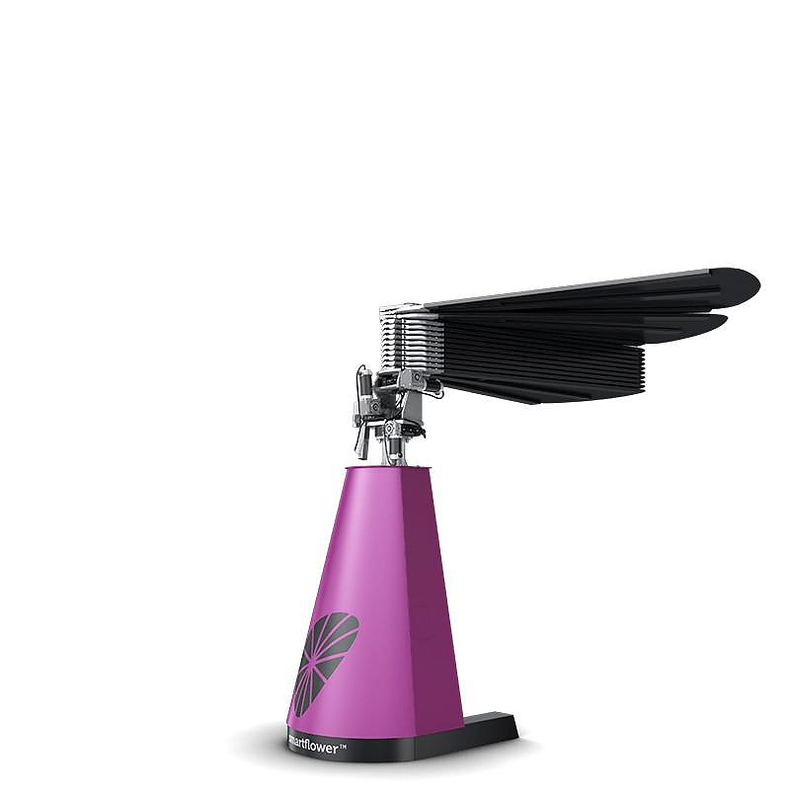 It has an intriguing design that is not just for show, it works too. 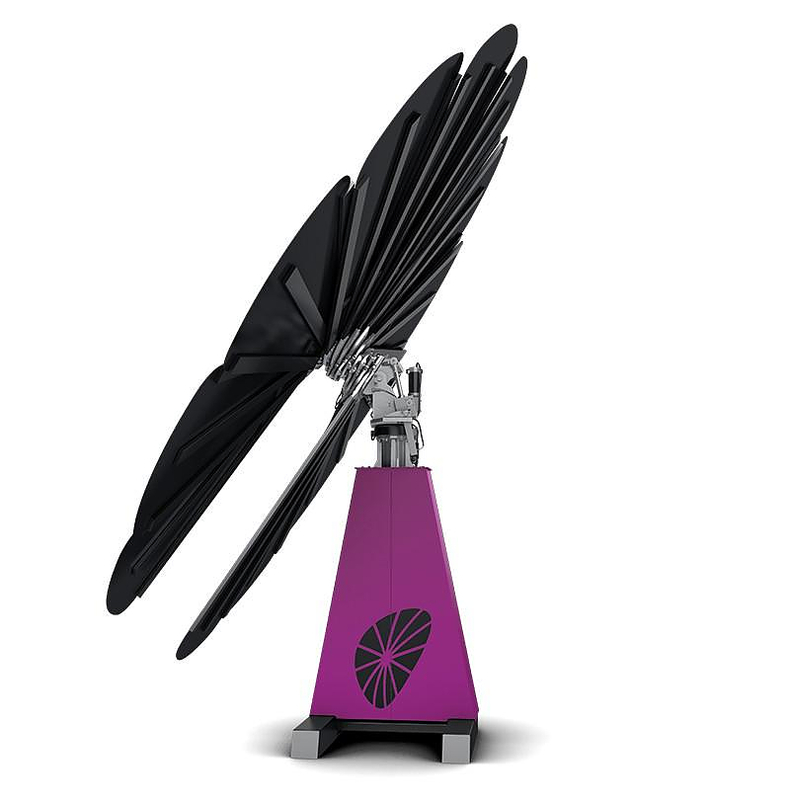 During the day you can marvel at your futuristic “Solar Flower” while at night or in strong winds the petals fold up and stack to secure itself in an entirely automatic manner. 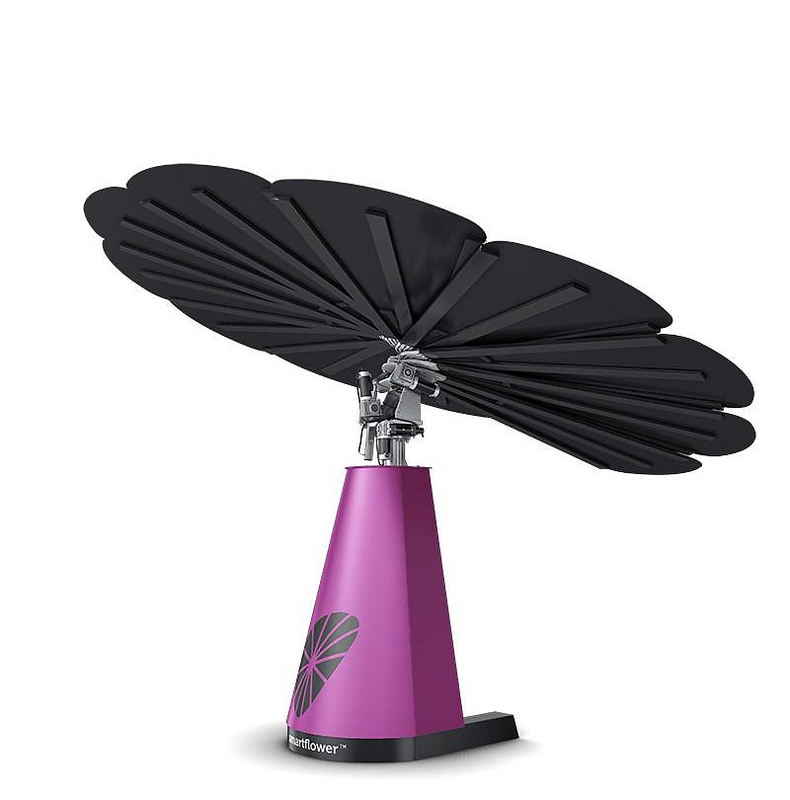 The Smartflower POP is a finely-structured object. 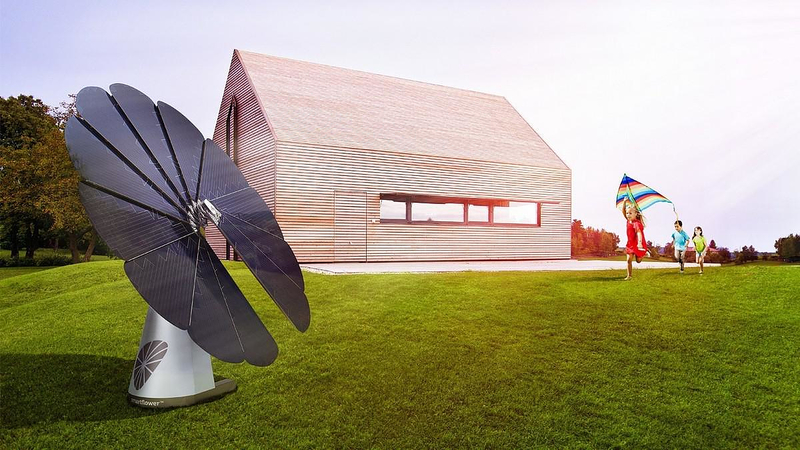 Photovoltaic technology, as it should be, sleek, smart, plug & play, easy to move and easy to operate, like any other standard home appliance.